Pioneers build their own tools. 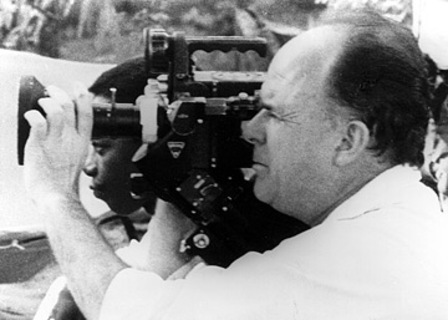 Jean Rouch (1917-2004) is an anthropologist who does research through film making. He is one of the pioneers in documentary films because he broke many of the rules and wrote new ones. Chronique d’un été (Chronicle of a Summer) is his masterpiece work, filmed in collaboration with sociologist Edgar Morin. The film begins with a discussion between Rouch and Morin on whether or not it is possible to act sincerely in front of a camera. A cast of real life individuals are then introduced and are led by the filmmakers to discuss topics on the themes of French society and happiness in the working class. At the end of the movie, the filmmakers show their subjects the compiled footage and have the subjects discuss the level of reality that they thought the movie obtained. This film was made possible by an invention of a new tool – portable camera. What strikes me is that Rouch himself was asking the manufacturers to develop this new camera in order for him to film his ideas. Here we see a tool changing the game and Rouch probably knew it would. I think this is very relevant to us as well. We already had that discussion of creating tools to connect design process with the opportunities of internet. This also confirms the relevance of DPI to our practice but we can go further and create unprecedented tools.